• Ribbon wound steel strapping, suitable for heavy duty strapping requirements. 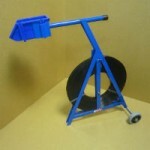 • Used in the building trades or for strapping heavy bulky items onto pallets. • Easy to handle rolls in 12-15kg roll weights. • Recommended to use with steel strapping dispenser. 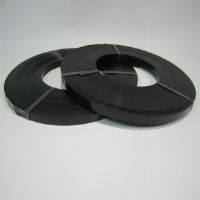 Strapping seals are available to suit all size steel strap. 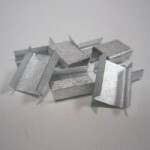 Place the seal over the overlapping steel strap and use your crimper to crimp the metal seal. 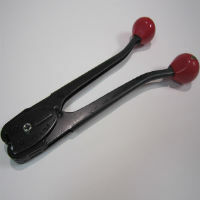 Crimpers are available to suit all size steel strapping. Crimper sizes will only suit that particular steel strap size. ie 19mm crimper will only crimp 19mm seals. 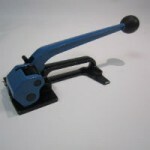 Tensioners are available to suit your workload. If you use steel strapping often or occasionally we have the right tensioner to suit your needs. Please contact us for more information.